This is a printed coupon that you can print off from SmartSource.ca’s website. 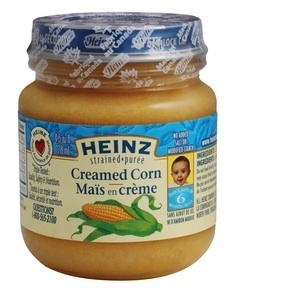 Visit Smartsource, select the Heinz baby food coupon, and click on ‘Print Now’. You will be prompted to download the Coupon print software. After you print the coupon, you can bring it into any supermarket, grocery store to save money on Heinz baby food. This is a printed coupon to save $1.50 when you buy 8, any size of Heinz Baby Food Glass Jars and/or Plastic Tubs. Heinz Vegetables offer more complex textures, tastes and savoury blends of baby’s favourites plus new flavours for an ever-expanding palate. For a varied and balanced diet, continue to serve the vegetables that your baby has enjoyed through every stage.